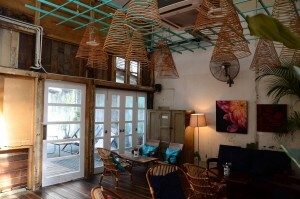 Good food and an intriguing location in a former brothel make Merchant’s Lane a unique up-and-coming attraction in KL’s Chinatown. The restaurant, specialising in Asian-inspired comfort food, has an evocative setting akin to that in Wong Kar-wai’s seminal arthouse film, “In the Mood for Love”. 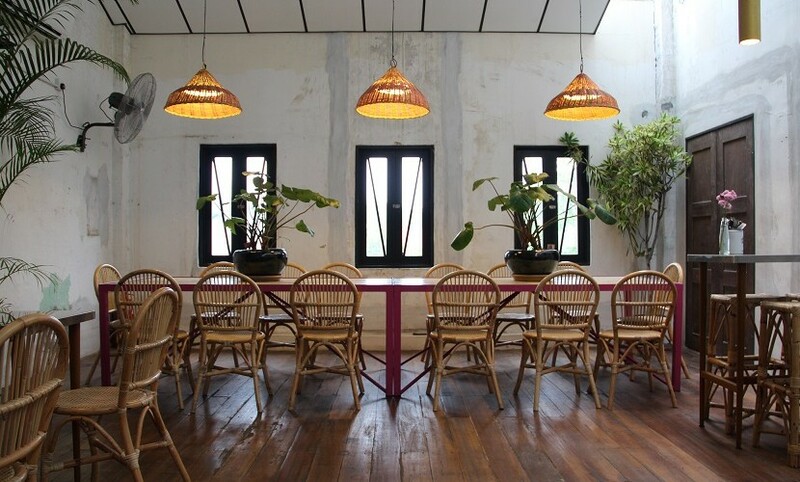 The edifice’s original designs such as rustic windows and railings are retained to complement the funky 1960s-style décor, comprising customised furnishings such as display cases and a counter in striking teal and pink colours. 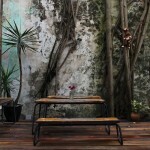 This charming hideaway, upstairs a pre-war shophouse, provides a calm respite from the busy street outside. Though it offers a limited menu, the portions are generous, satisfying those with big appetites. 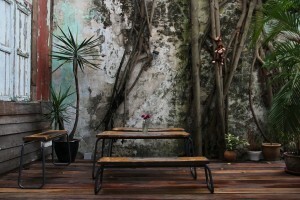 You’ll need to come early to secure a seat at the al fresco area, the most popular part of the restaurant. Its popular dishes include the flavourful aglio olio with prawns, with added chicken rendang for a quirky twist; and Cantonese-style Hongkie beef stew, slow-cooked to perfection for 12 hours. While savouring the servings, Property360 spoke to Kenneth Ho, one of Merchant’s Lane’s owners, on a range of issues. What inspired you to open Merchant’s Lane? I’ve always wanted to open a café in Chinatown. Initially I’d planned to set it up at a site owned by my family; it’s just a few doors away. But when the current location was available, it was too good to pass it up. We were especially drawn to a tree grown inside the building. Why take over a former brothel? I grew up in Chinatown and my family inherited a shophouse here from my grandfather. A few doors away from it, a former brothel occupied a shophouse over 2,000sq ft. We took over the lease from a corporation and converted the space into Merchant’s Lane. In the process, we discovered the premises’ fascinating background as a unique selling point for our business. We (the restaurant owners) believe in doing what others dare not attempt. Is there a demand, especially among F&B outlets, to occupy pre-war shophouses in KL? I’m not quite sure. City folks generally prefer new structures, including industrial-style buildings which have been popular in recent years, perhaps much like how they prefer to reside in brand new houses and not so much old ones. How viable is it to manage a business in Chinatown compared to other bustling parts such as Bukit Bintang, KLCC or Bangsar? I have no idea. 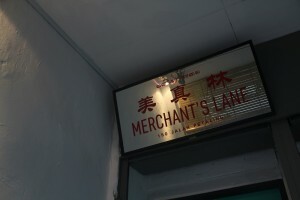 We followed our instincts and took a leap of faith in opening Merchant’s Lane in Chinatown. After all, life is about taking risks, isn’t it? Apart from its intriguing location in a former brothel, is the heritage element a major selling point for Merchant’s Lane? 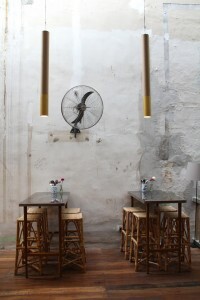 Merchant’s Lane’s old-world setting stands out from KL’s high-rise buildings and other modern-day gloss. 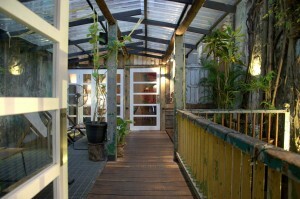 It’s also a charming escape from the city’s hustle and bustle. What problems did you face in taking over an old shophouse? 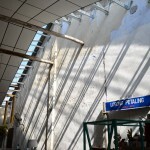 The difficulties included checking the original structure’s condition, such as the wiring and piping. We also discovered an interesting “water feature” in each individual room, for washing up after the carnal deed. 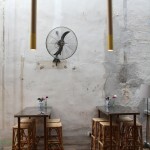 It’s too bad we couldn’t keep this feature intact in the renovated shophouse. Did the shophouse require extensive renovation? 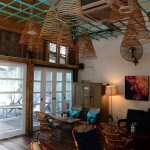 Major renovation was required as the place was infested with bats and insects. New electrical points and piping were installed, and the rooftop, riddled with holes, was repaired. More than half of the original rotten floorboards were replaced with new ones as well. As we had expected large crowds to dine here, the flooring had to be reinforced with steel to make it sturdier. New toilets were also built but with the original walls retained. 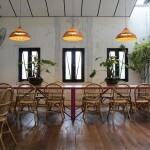 Divided into three sections, the main dining area is at the front. The middle is the al fresco area and behind it the lounge area. Did you refer to a blueprint or other references for the renovation? No blueprint. 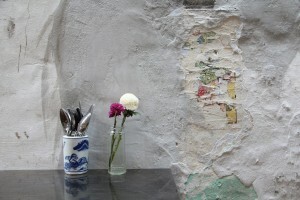 Our interior designer, who has worked on other old-world edifices, had extensive knowledge in doing up Merchant’s Lane. He knew where to source for old timbers and other vintage material that would suit the retro-style décor. 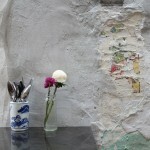 Was it difficult to find qualified contractors for the restoration? We didn’t have to search. We have our contractor, who’s a good friend with over 30 years of experience, and capable in executing what our interior designer wanted. Younger contractors accustomed to working on new buildings may not enjoy restoring old buildings, since they require plenty of repair work. Where did the restoration begin at Merchant’s Lane’s premises? 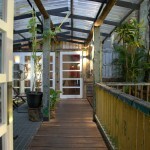 The old rooftop was replaced with a new one, and the former brothel’s partitioned rooms were torn down. We also sourced for new floorboards from junkyards, mainly those outside of the Klang Valley. The similar floorboards are used to replace the original rotten flooring. The restoration took three months to complete, with 80 per cent of the original structure retained. New elements include whimsical themes using colours and adding steel at certain parts of the building. What was the renovation’s most difficult aspect? The renovation wasn’t too bad, but after it was completed, we experienced a series of problems, such as old things breaking or falling apart unexpectedly. What was the cost of restoring and maintaining the structure? 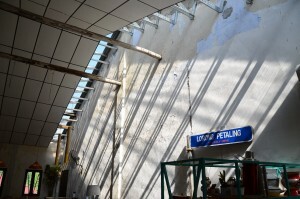 The restoration cost over RM1 million. Each month, we spend thousands of ringgit to maintain the shophouse, including pest control. 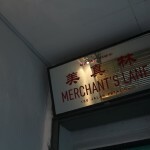 Besides good food and stylish décor, what does Merchant’s Lane offer?